Dawn brings a wealth of strategic leadership experience to ProPharma Group. She has worked extensively within the healthcare industry, holding roles such as President, COO, and Global Managing Director for several global healthcare companies. Prior to becoming President of ProPharma Group, Dawn was President of EnvisionRx, a national, full-service pharmacy benefit management company. Dawn was responsible for EnvisionRx, MedTrakRx, EnvisionPharmacies, Envision Savings, and LakerSoftware, as well as several functional areas such as strategy, product development, pricing, client analytics, IT, manufacturer and provider relations, marketing, and customer service operations. Dawn also led all integration efforts with Rite Aid since the acquisition of EnvisionRx by Rite Aid in June 2015. 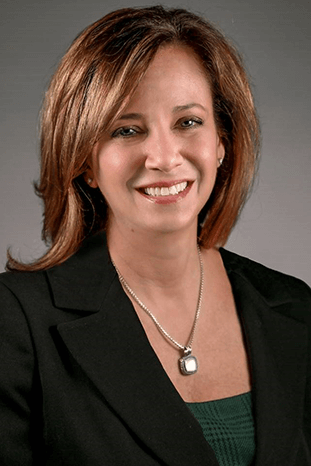 Prior to joining EnvisionRx, Dawn served as Chief Operating Officer (COO) for Teva Pharmaceuticals Europe B.V., where she had oversight of commercial operations across 36 countries as well as global responsibility for patient solutions. Dawn’s broad focus included strategy and innovation for patient support, commercial effectiveness, market access, business insights and intelligence, and government affairs. Additionally, Dawn had responsibility for corporate communications and driving organizational efficiency and effectiveness. Before joining Teva, Dawn was Chief Operating Officer of Medco International, B.V., where she focused on delivering innovative, integrated clinical services to improve efficiency across the European healthcare system. Before relocating to the Netherlands, Dawn held other roles during her tenure with Medco Health Solutions, Inc., such as Senior Vice President and Chief Operating Officer for Medco’s international strategy and operations, where she led activities related to integrating and operationalizing international business opportunities within Medco. Prior to Medco, Dawn was Global Managing Director for Hay Group Insight, Hay Group’s survey research division. In this role, she worked with executive management teams and board members from Fortune 100 companies in a wide spectrum of industries with a focus on improving organizational and operational effectiveness. Dawn completed her undergraduate work at Miami University with degrees in Psychology and Sociology and received her master’s degree in Sociology from New York University.